"We deliver what we promised yesterday"
Q-KON is an engineering services and solutions business. We provide turn-key projects, satellite network services, specialist product distribution and business consultancy services. Formed in 1988 we have 30 years of experience in delivering tomorrow what we promised yesterday. We service Africa through developing long-term sustainable business value and trusted relationships. We are an “off-grid” telco for business and corporate markets. We leverage satellite, wireless and unified communication technologies to enable business. We “design for sales” and unlock value through the integration of emerging markets, leading technology and innovative business models. In applying engineering skills to harness technology in innovative ways to the benefit of our customers and the long-term prosperity of our people. That “sustainable value add is the only basis of any long-term relationship” and every day we strive to deliver on this mission. Technology and engineering can create a better future for all. Our Humble Beginnings: Q-KON was formed as a special projects joint venture between Megkon and Q-DATA to provide system engineering services to the defence industry. New beginning: In 1990 Q-KON moved into the commercial two -way radio industry and providing trusted communications to industrial and emergency operations. Hardware development: From voice radio we added data radio, and development of specialist data radio solutions and hardware models. 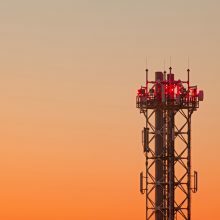 Focusing on providing unique solutions and creating value by integration of our data radio modules, we supplied many 9600kbps data radio networks. Our achievements were also recognised by receiving the SABS design award in 1997. 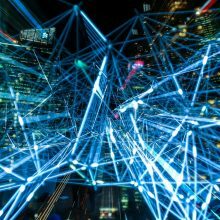 Wireless LAN Solutions: From data radio, Q-KON moved on to wireless LAN solutions and implemented a number of world-firsts. We did the 1st long distance point-to-point link and we did the 1st underground WiFi network. We supplied more than 1000 links and many metropolitan networks. From Projects to Satellite Services: Driven by a need to secure USD recurring income, Q-KON entered the satellite IP access market, and we were the team that tested the 1st IP-over-satellite link. Today we have installed 1000’s of remote sites and operated more than a dozen platforms on 3 continents. Q-KON South Africa: In 2005 we formed Q-KON South Africa to focus on the South African market. The business started with a focus on VoIP solutions and we very successfully represented Quintum which today is Sonus and whom we still distribute. 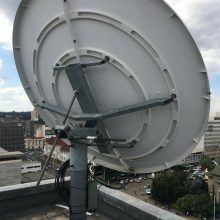 SkyeVine: In 2010 the regulations in South Africa changed and we developed the 1st large scale satellite broadband platform as well as a specialist corporate network solution. Part of this effort included setting up SkyeVine, a joint venture with Ellies to drive broadband access in South Africa. Today Q-KON supplies and operates various specialist networks and solutions throughout Africa. 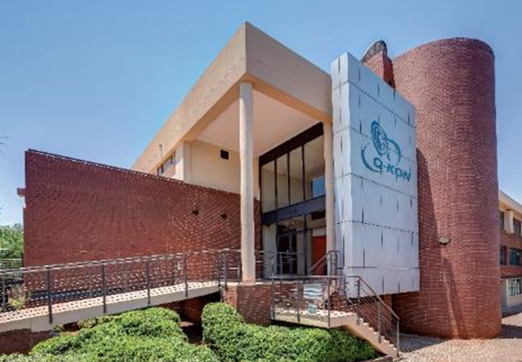 This includes the biggest privately operated satellite network for FNB, to connect and service more than 2500 branches, ATMs and point-of-sale points.